Corona developers are very creative and regularly produce amazing works. 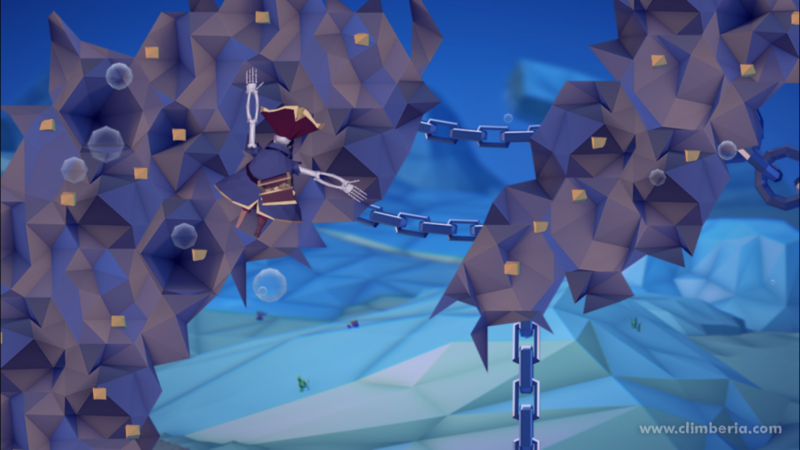 In this case study, we look at a new game called Climberia. In this innovative game, you play a legless pirate skeleton that climbs from the ocean floor, collecting coins while avoiding a greedy octopus. Climberia is the brainchild of Nikola Georgiev and Stoyan Pedev of Kvaba, a small studio in Sofia, Bulgaria. Georgiev and Pedev decided to start building games in their spare time while having a drink in their local pub. After trying a couple of projects that didn’t gain momentum, they stumbled upon the idea for Climberia. Using a Google search to find a 2D gaming platform, they discovered Corona SDK and quickly had a working demo of their idea. The gameplay was challenging and fun, but there was a problem: neither Georgiev or Pedev were artists and the game didn’t look very good. Fortunately, they found Robo Video Lab who fell in love with the game and the two companies formed a partnership to produce Climberia. The art team used low-polygon 3D models, converted them to 2D still images, and assembled it all into colorful scenes. The gameplay is very challenging. Like rock climbing, your pirate has to swing his arm and body to grab the next hand-hold. If the pirate lets go, he falls to the ocean floor and dies. Players must keep one finger on the screen the entire time while using another finger to swing the pirate and reach another hand-hold. Corona SDK has been critical to their development process. As beginners in the game development field, Georgiev and Pedev found that it was easy to get started developing a 2D game in Corona. Rapid prototyping allowed them to assess the project early on and adjust certain aspects as the project matured. Climberia is available for iOS on April 5, 2016, and Kvaba plans to release an Android version in the coming months. Check it out in the app store!